both directed by Yasuomi Umetsu. KITE UNCUT: She may be cute. She may be young. She may seem innocent and naïve but don’t be fooled! She’s a cold­blooded killer and if she finds you on the wrong side of the law, you will be her next target! After the brutal double murder of her parents, the young Sawa is orphaned and taken in by a detective. Not content to watch the corrupt justice system let dangerous criminals go free on a daily basis, the detective trains Sawa to be his instrument of justice. After all, who would suspect a pretty college student of being a deadly vigilante! Yasuomi Umetsu's KITE: UNCUT has achieved legendary status in the annals of extreme anime. 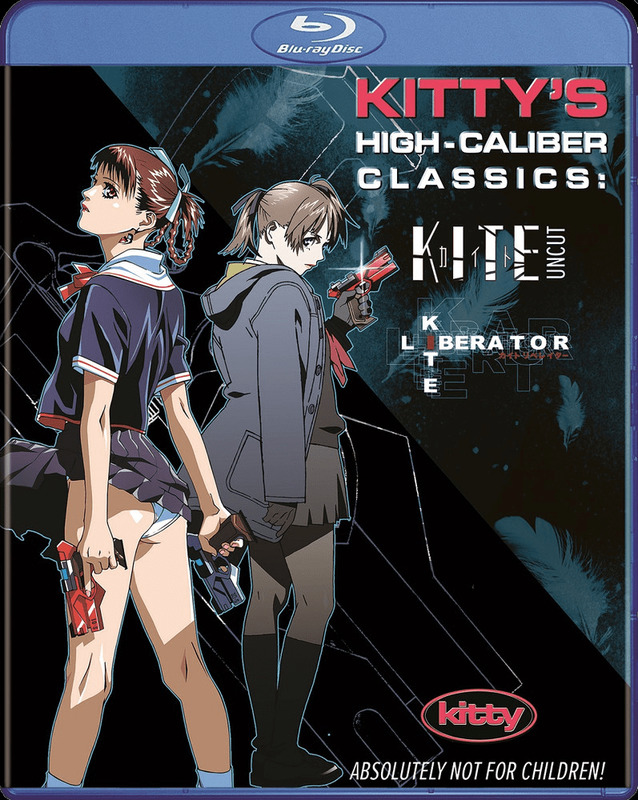 KITE LIBERATOR: Years after the events that transpired in KITE, Sawa’s whereabouts are a mystery. Soon, rumors of a new killer begin to circulate the city. They call her the Angel of Death, an unfeeling assassin who eliminates her targets with grace and precision, leaving only a flurry of feathers behind as her calling card. But the public is unaware of the fact that this notorious hit man is actually a polite seeming gentle young woman named Monaka!